The Commission on the Status of Women is a functional commission of the United Nations Economic and Social Council (ECOSOC), one of the main UN organs within the United Nations. CSW has been described as the UN organ promoting gender equality and the empowerment of women. Every year, representatives of Member States gather at United Nations Headquarters in New York to evaluate progress on gender equality, identify challenges, set global standards and formulate concrete policies to promote gender equality and advancement of women worldwide. In April 2017, ECOSOC elected 13 new members to CSW for a four-year term 2018–2022. One of the new members is Saudi Arabia, which has been criticised for its treatment of women. Donald MacKay Fraser is an American politician from Minneapolis, Minnesota. Lamberton is a town in Redwood County, Minnesota, United States. The population was 824 at the 2010 census. Arthur Naftalin was an American political scientist and politician. A member of the Minnesota Democratic-Farmer-Labor Party (DFL), he served as mayor of Minneapolis from July 3, 1961, to July 6, 1969. He was the first Jewish mayor of Minneapolis. The Women's Equity Action League, or WEAL, was a United States women's rights organization founded in 1968, during the feminist movement. The Women's Equity Action League was founded in Ohio and headquartered in Washington, D.C., as a "spin-off" of the National Organization for Women (NOW) by more conservative women wishing to avoid issues such as abortion, sexuality, and the Equal Rights Amendment, although it also worked with NOW in support of the ERA. WEAL focused instead on equal opportunities for women in education, economics, and employment. WEAL established a tax-exempt fund which supported lawsuits and monitored implementation and enforcement of Title IX of the Education Amendments of 1972, dealing with academic discrimination and economic equity. It also sought to remove gender as a factor in insurance ratings and lobbied for passage of the Pregnancy Discrimination Act of 1978. WEAL published WEAL Washington Report, Better Late than Never: Financial Aid for Older Women, and newsletters on issues of concern to women, including executive and legislative actions and court decisions. According to the Schlesinger Library, which holds the organization's records, "WEAL dissolved in 1989". George Latimer was the mayor of Saint Paul, Minnesota, the state's capital city, from 1976 until 1990. A member of the DFL and a labor lawyer by profession, the bearded Latimer was known for his redevelopment of St. Paul's downtown core, serving as mayor during a period when St. Paul's population was declining somewhat as some residents moved to suburban areas while the city's ethnic diversity increased as, among others, Hmong refugees from Vietnam and Laos resettled in Saint Paul. Fraser, Arvonne (1970). Government. Minneapolis: Dillon Press. ISBN 978-0-87518-023-6. Fraser, Arvonne (1974). Office occupations. Minneapolis: Dillon Press. ISBN 978-0-87518-035-9. Fraser, Arvonne; Huston, Perdita (1979). Third world women speak out: interviews in six countries on change, development, and basic needs. New York London etc: Praeger for the Overseas Development Council. ISBN 978-0-03-052116-4. Fraser, Arvonne (1987). 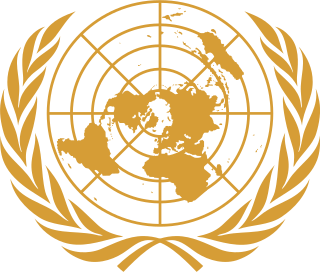 The U.N. Decade for Women: documents and dialogue. Boulder, Colorado: Westview Press. ISBN 978-0-8133-7249-5. Fraser, Arvonne S. (2001). "Becoming human: the origins and development of women's human rights". In Agosín, Marjorie. Women, gender, and human rights: a global perspective. New Brunswick, New Jersey: Rutgers University Press. pp. 15–64. ISBN 978-0-8135-2983-7. A reprint of Fraser, Arvonne S. (November 1999). "Becoming human: the origins and development of women's human rights". Human Rights Quarterly. 21 (4): 853–906. doi:10.1353/hrq.1999.0050. Also available online through the University of Minnesota, Human Rights Library. Hubert Horatio "Skip" Humphrey III is a former Minnesota politician who served as Attorney General of the state (1983–99) and State Senator (1973–83). Humphrey led the Office of Older Americans as the Assistant Director at the Consumer Financial Protection Bureau (CFPB). Sharon Sayles Belton is an American community leader, politician and activist. She is Vice President of Community Relations and Government Affairs for Thomson Reuters Legal business. The Hubert H. Humphrey School of Public Affairs at the University of Minnesota is one of the United States' top-ranked professional public policy and planning schools.The school is noted for equipping students to play key roles in public life at the local, state, national, and global level and offers six distinctive master's degrees, a doctoral degree, and six certificate programs. Minnesota's 5th congressional district election, 2006 was an election for the United States House of Representatives for the open seat of incumbent Martin Olav Sabo (DFL), who retired after serving the Minneapolis-based district for 28 years. Patricia Torres Ray is a Colombian-born American politician and member of the Minnesota Senate. 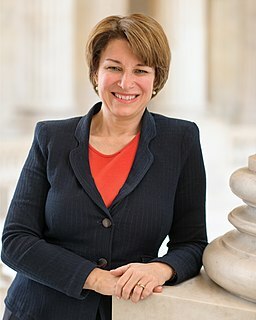 A member of the Minnesota Democratic–Farmer–Labor Party (DFL), she represents District 63, which includes portions of southeastern Minneapolis and eastern Richfield in Hennepin County in the Twin Cities metropolitan area. She is the first Latina woman to serve in the Minnesota Senate. She ran for Congress in Minnesota’s 5th district to succeed Congressman Keith Ellison, but lost in the primary to Ilhan Omar. Brian John Coyle was an American community leader, elected official, and gay activist. Coyle was one of the founders of the alternative newspaper Hundred Flowers. Nora Bayly Slawik is a Minnesota politician, serving as Chairwoman of the Metropolitan Council and previously served as Maplewood Mayor and Minnesota State Representative. From 1997-98 and 2001-2012, she represented District 57A, and from 2003-2012, she represented District 55B, which includes portions of Ramsey and Washington counties and the cities of Maplewood and Oakdale in the eastern part of the Twin Cities metropolitan area. As Mayor of Maplewood, first elected in 2013 and re-elected in 2018, she oversaw economic redevelopment, increased public safety, and expansion of Maplewood’s public outdoor spaces. In 2018, she was appointed by Governor Tim Walz to serve as head of the Metropolitan Council, where she currently works. She also has a history of community service before her time in office, including her development of Juniper as their Project Manager for the Metropolitan Area Agency on Aging from 2016-17. Karen J. Clark is an American politician and former member of the Minnesota House of Representatives. A member of the Minnesota Democratic–Farmer–Labor Party (DFL), she represented District 62A, which included portions of the city of Minneapolis in the Twin Cities metropolitan area including portions of the Whittier, Phillips, Ventura Village, Seward, and Lyn-Lake neighborhoods. She was the longest serving openly lesbian member to serve in a state legislature in the United States. On December 8, 2017, Clark announced in a press release that she would not be running for reelection. Sylvia Rosila Tamale is a Ugandan academic, and human rights activist in Uganda. She was the first female dean in the Law Faculty at Makerere University, Uganda. Kari Dziedzic is a Minnesota politician and member of the Minnesota Senate. 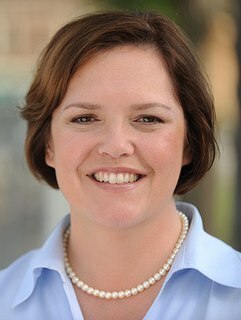 A member of the Minnesota Democratic–Farmer–Labor Party (DFL), she represents District 60, which includes portions of the city of Minneapolis in Hennepin County. Her district is also notable for including part of the University of Minnesota, her alma mater. Nellie Stone Johnson was an American civil rights activist and union organizer. She was the first black elected official in Minneapolis and shaped Minnesota politics for 70 years. Geri M. Joseph is an American journalist, academic and political figure who served as United States Ambassador to the Netherlands. Nimco Ahmed is a Somali-American political activist. She serves as the State Director for the Minnesota Democratic–Farmer–Labor Party (DFL). In this capacity, she facilitated caucus training through the DFL Somali Caucus. Ahmed is also a policy aide for the vice president of the Minneapolis City Council. Additionally, she co-founded the Minnesota League of Young Voters, as well as the FATA non-profit organization. From 2009 to 2010, Ahmed was a policy fellow at the Humphrey Institute of Public Affairs at the University of Minnesota. She was likewise selected as one of two young "Women to Watch" by the Minnesota Women's Political Caucus. Besides political work, Ahmed serves on the board of several organizations, including the board of the reNEW Minnesota campaign and the Minneapolis Community Action Circle of Discipline's board of directors. Wanjiru Kamau-Rutenberg is the current Director of African Women in Agricultural Research and Development (AWARD). Wanjiru is also the Founder and past Executive Director of Akili Dada, an award-winning leadership incubator with a mission to contribute to nurturing transformative leadership in Africa's girls and young women. 1 2 3 4 5 6 7 8 9 Walsh, Paul (August 8, 2018). "Arvonne Fraser, who blazed her own trail as women's rights advocate, dies at 92". Star Tribune. Retrieved August 8, 2018. 1 2 3 4 5 6 7 8 9 10 Weissbrodt, David (2009). Forsythe, David P., ed. Arvonne Fraser. Encyclopedia of Human Rights. 1. Oxford New York: Oxford University Press. pp. 266–269. ISBN 978-0-19-533402-9. Online version, subscription required. 1 2 3 4 Grossman, Mary Ann (October 27, 2007). "That's no lady, that's Arvonne!". Twin Cities. Retrieved August 8, 2018. 1 2 Lucas, Lydia; Palmquist, Bonnie; Ralston, Monica Manny; Peterson, David B., eds. (February 2015). "Collection finding aids: Avronne S. Fraser: an inventory of her papers at the Minnesota Historical Society". Minnesota Historical Society. Minnesota. Retrieved August 9, 2018. ↑ Goetzman, Amy (December 20, 2007). "Herstory: Arvonne Fraser reflects on a life of advocacy". MinnPost. Retrieved August 8, 2018. ↑ Rovner, Sandy (June 11, 1981). "Arvonne Fraser: Parting in Sweet &". The Washington Post. ISSN 0190-8286 . Retrieved August 8, 2018. ↑ "Statement from DFL Chairman Ken Martin on the Passing of Arvonne Fraser". The Minnesota DFL. August 8, 2018. Retrieved August 9, 2018. ↑ Meryhew, Richard (June 23, 1986). "Fraser family takes the latest candidacy in stride". Minneapolis Star and Tribune. p. 11A–12A. Retrieved August 9, 2018. ↑ Grow, Doug (July 7, 2014). "Don and Arvonne Fraser: Time and experience give extraordinary couple some perspective on issues and politics". MinnPost. Retrieved August 8, 2018. ↑ "Rapoport Center for Human Rights and Justice: Arvonne S. Fraser, Ambassador". The University of Texas School of Law . Retrieved August 8, 2018. ↑ Eslava, Luis (January 14, 2010). "Book Review: Developing Power: How Women Transformed International Development". Rochester, NY.